As the cost of biodiesel feedstock increases, many biodiesel plants find themselves in difficult spot. Hielscher’s continuous ultrasonic mixing technology improves your biodiesel yield and reduces your costs. Today, making biodiesel is not just about making a renewable fuel. For biodiesel producers this is the challenge of producing high-quality biodiesel with consistent characteristics, regardless of feedstock at times, when feedstock prices increase with food and energy prices. “In the current environment, only the least-cost producers are able to produce fuel at positive margin.” says Bill Babler of First Capitol Risk Management. If you are considering a new biodiesel facility or an upgrade of your biodiesel plant look to Hielscher ultrasonic mixing technology for the best biodiesel processing efficiency. 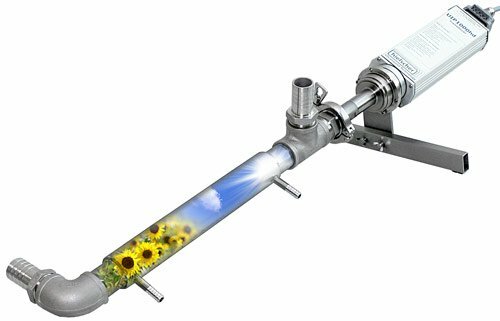 Hielscher ultrasonic devices are tested and proven in multiple plants to increase biodiesel yield and lower operational costs. This includes 1 mmgy entrepreneurs as well as 45 mmgy industrial biodiesel plants. Basically, making biodiesel from oil, methanol (or ethanol) and catalyst, is a simple chemical process. The problem lies in the chemical reaction kinetics. The conventional transesterification of the triglycerides to fatty methyl esters (FAME) and glycerin is slow and not complete. During the conversion process not all fatty acid chains are turned into alkyl esters (biodiesel). This reduces your biodiesel quality and yield, significantly! The long conversion time and the inferior biodiesel yield can be attributed to a large part to the use of inappropriate mixing systems. In principle, oil and methanol are immiscible. Therefore, you need to form a methanol-in-oil emulsion. This requires emulsification equipment rather than conventional mixers or stirrers. Ultrasonic cavitational mixing is the most advanced means to form fine-size emulsions at large processing scale. There is a direct link between methanol droplet size and biodiesel yield as well as conversion speed. This makes Hielscher ultrasonic reactors the most productive technology in the biodiesel industry. The ultrasonic mixing devices produce more high quality biodiesel, faster. The installation of Hielscher ultrasonic reactors into your biodiesel process line reduces your operational costs, too. Excess methanol does not react during the conversion process. It is added to support the chemical reaction kinetics only and it needs to be recovered at the end of the process. Recovered methanol is of inferior quality, only. That is why methanol recovery increases your processing costs. The use of Hielscher ultrasonic reactors reduces the required amount excess methanol by up to 50%. A molar ratio between 1:4 or 1:4.5 (oil : methanol) is sufficient for most feedstock, when using Hielscher ultrasonic mixing. Many biodiesel producers – in particular small and mid-size community level biodiesel producers – reduce their costs by switching to raw materials of poorer quality, such as animal fats, recycled restaurant oils or waste oils. The ultrasonic process intensification improves the conversion results for any feedstock. This makes is easier to produce ASTM 6751 or European EN 14212 compliant biodiesel from high FFA oil or high viscosity fat or grease. Catalyst price represents a marginal fraction of the biodiesel production costs only. As with the excess methanol, the costs result from recovery and inferior glycerin quality. Ultrasonic mixing improves the methanol-in-oil emulsification and generates more and smaller droplets. This leads to a better distribution and increased catalyst efficiency. In addition to that, the ultrasonic cavitation improves the mass-transfer (see sonochemistry). As a consequence, you can save up to 50% catalyst when compared with shear mixers or stirrers. Glycerin is a byproduct of biodiesel production. A higher conversion rate and lower excess methanol lead to a much faster chemical conversion and to a sharper separation of the glycerin. For the reasons described above, the glycerin contains less catalyst or mono-glycerides and it causes lower refining costs. Biodiesel is a green fuel. To be green, the energy required for growing, harvesting and processing must be lower than the energy contained in the biodiesel. The installation of Hielscher ultrasonic mixing lowers the energy required for processing. Hielscher ultrasonic devices have an outstanding efficiency (see energy efficiency) in the conversion of electricity to mechanical mixing action. Hielscher ultrasonic devices process approx. 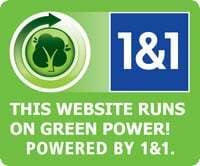 22 gallon of biodiesel using only 0.1kWhr electricity, which is equivalent to operating a 100 watts light bulb for one hour. This is a fraction of the energy consumption of shear mixers or hydro-dynamic mixers. The ultrasonically assisted transesterification can typically run at lower process temperatures. This reduces the required heating energy, too. Please fill this form to request more information about ultrasonics in biodiesel processing.